Island Brac, the largest island of the central Dalmatiangroup of islands, the third largest among the Adriaticislands; area 394.57 sq km; population 13,824. 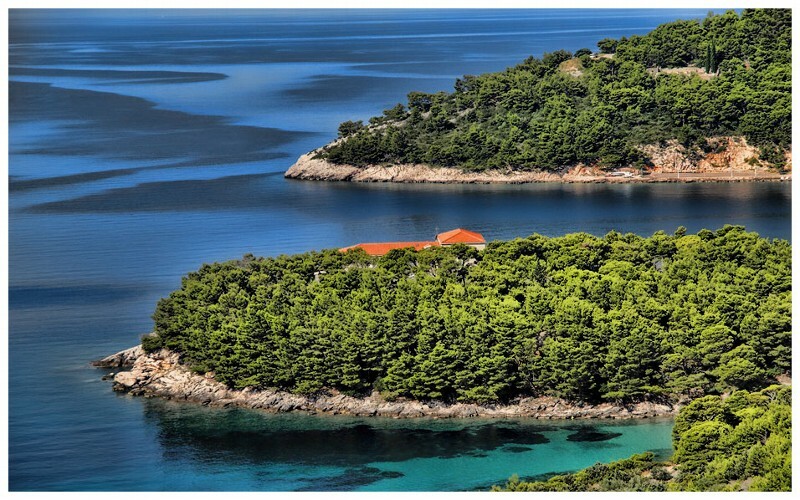 It is separated from the mainland by the Brac Channel, from the island of Solta by the so-called Splitska Vrata (Split Gate) and from the Island of Hvar by the Hvar Channel. The highest peak of the island, Vidova Gora (Vitus' Mount) (778 m), is also the highest peak of all Croatian islands. The limestone part of the coast is rocky and steep, while the rest is rather low and sandy (on the southern side from Farska to Bol, and on the northern side fromSutivan to Supetar). The island landscape is dominated by a karst limestone relief, with numerous gullies, crevices, cavities, round valleys and coves. Milder forms of the relief, with brown Primorje soils (the most fertile on the island), are found mostly in the interior (especially between Lozisca and Nerezisca, as well as betweenSelca, Novo Selo and Sumartin). Composed primarily of limestone and dolomite, the quarries of the island of Brac have been a source of stone for building decorative stonework for centuries. The old Romans have known its quality and used this very stone to build cities, amphitheaters, temples, palaces and graves all over Dalmatia.
. Higher parts of the island (above 400 m) are at some places covered with black and Aleppo pine forests; larger or smaller forests of Aleppo pine are found around all coastal towns and villages; dominant are dense evergreen underbrush (macchia) and rocky ground. The largest places are Pucisca and Supetar. Major farming products are olive oil, wine and fruit (sour cherries and almonds); chief occupations include also livestock breeding and fishing. Fish canneries are located in Postira and Milna. Major quarries, where the famous Brac building stone is excavated, are located near Pucisca, Selca, Postira,Splitska and Donji Humac (this kind of building stone was used in the construction of the White House in Washington and the Palace of Diocletian in Split).